The arts and humanities have always meant a great deal to me as I was lucky enough to be raised in an environment in which expressing oneself was done through painting or drawing in or outside the lines. As a child, my mother and grandmother both took me to as many museums in Delaware and eastern Pennsylvania as they could. All of these experiences opened my eyes to the world around me. However, it wasn’t until fourth grade that I found a way to express myself. Fourth grade was the year when students were given the opportunity to pick out the instrument of their choice and get weekly music lessons from the school music teacher. No, I did not go to a fancy private school, on the contrary, I went to PUBLIC school where my education was FREE. I still remember the day my mother took me to the school cafeteria to pick out the instrument that I would end up playing for nine straight years, the clarinet. This is going to sound real cliché, but music made me who I am today. I struggled with attention deficit disorder as a kid, but still managed to do well in school, because I found something that I excelled in and enjoyed. I credit my interest in the arts and humanities to those music teachers that taught us to tap our feet in time to the music, to the women in my life that showed me that the past is part of the present, and the history, anthropology/archaeology teachers that broadened my understanding of the world. You may be asking yourself, “why did she just go off on that tangent about music and art and history?” Well, without the arts and humanities, I would not be where I am today: a graduate student studying applied archaeology. The things I listed above, the experiences, especially learning to play an instrument cannot be directly attributed to the National Endowment for the Arts (NEA) or the National Endowment for the Humanities (NEH), but the federal recognition of importance of the arts and humanities in the 1960’s created programs that would affect millions of Americans and American institutions for years to come. 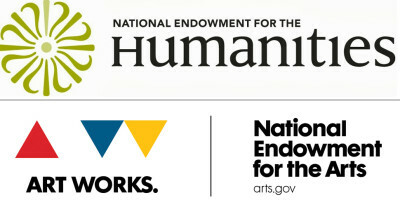 The NEH and NEA were established as federal agencies by President Lyndon B. Johnson on September 29, 1965 in response to a 1964 finding that, “the emphasis placed on science endangered the study of the humanities from elementary schools through postgraduate programs”. The 1960’s were a time of civil unrest, and the American people began to question the status quo. The civil rights movement was in full force, the first real talks around human impacts on the environment were being seriously discussed, and people recognized that the arts and humanities were not getting their fair share. Since the implementation of the NEH and NEA, it has not all been smooth sailing. The agencies have experienced drastic cuts throughout their 50 + year tenure. Now in 2017 the NEH and NEA are facing similar cuts under the new administration. So, we tell ourselves, “oh, no big deal, they’ll bounce back just like they have in the past.” WRONG. The new administration wants to cut federal spending by $10 trillion dollars, and the NEH and NEA are low on the totem pole when it comes to funding priorities under a conservative agenda. What does this have to do with archaeology? While archaeology is technically considered a science (whether social or a ‘true’ science, it is a highly debatable within archaeology), it still falls in the ranks of the humanities, such as history and social studies. The NEH provides grants to archaeological or closely related archaeological projects. For example, Sustaining Cultural Heritage Collections is one of the NEH grants created to help, “cultural institutions meet the complex challenge of preserving large and diverse holdings of humanities materials for future generations by supporting sustainable conservation measures”. It is projects like this that protect cultural resources from destruction and deterioration. Although having little do to with archaeology, a project that uses art for the betterment of the American people is the NEA Military Healing Arts Partnership which, “supports creative art therapy programs to help our nation’s wounded, ill, and injured service members and their families in their recovery, reintegration or transition to civilian life”. 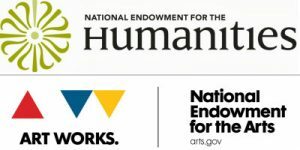 Without the NEH and NEA, projects such as these will fall by the wayside, and the arts and humanities, including archaeology will suffer. If you are reading this, and are a concerned citizen just as I am, you can sign this petition: Do not defund the NEA or NEH AND speak to your state and local representatives. This entry was posted in Grad School, International, Musings, Uncategorized, Undergraduate.